Study days on venetian glass - 2018 edition (1.67 MB). The Study Days on Venetian Glass 2018, in its seventh edition, take place in the context of The Venice Glass Week and register the presence of thirty or so glass experts from all over Europe and the United States, including museum curators, scholars, collectors, restorers, glass artists. In three Study Days a rich programme features seminars, lessons, visits and practical demonstrations of the ancient techniques, with papers and communications by scholars, all specialists in the field, making this event one of the most important of its kind organised on an international level.Our aim is again to offer an opportunity for in-depth study and encounters, with an ample exchange of knowledge and experience to glass historian. Thanks to this initiative, started in 2012, Venice may become the world centre for the study of old and contemporary glass and also an outstanding meeting place for scholars, artists and collectors. The “Study Days on Venetian Glass” are an opportunity for in-depth study on Venetian glass and are tuned to an audience of Museum conservators, collectors and experts. The programme includes lessons by experts who, after a general overview, will guide participants through the direct study of methods and pieces, encouraging participants to actively take part, also through presentations. Lessons and discussions will be held in English. Contributions in Italian will be translated into English by the seminar curators. The topics that will be touched upon will include: General overview of the history and art history of glass; Raw materials and casting/processing techniques; Archaeometrics; Conservation and Restoration; Training and consistency of glassmaking in the Museums collections; Recovery techniques and ancient models during the nineteenth century. The seminars will be completed by a tour of the Murano Glass Museum and by practical demonstrations in glassmaking studios. Descending from one of Venice’s ancient glass making families, Rosa Barovier Mentasti was awarded a degree in Ancient Literature by the University of Padua in 1973 with a thesis on antique glass. Since then, she has been dedicated to studying the history of both ancient and modern Venetian glass. In addition to many articles and publications, including Il Vetro Veneziano dal Medioevo ad oggi published in 1982, she has curated several international exhibitions of ancient and contemporary glass, including Vetri. Nel Mondo. Oggi, hosted by the Istituto Veneto di Scienze, Lettere ed Arti in Venice in 2004. As resident advisor for the Studio of the Corning Museum of Glass, he teaches introductory and advanced courses in Venetian techniques. A glassblower, scholar, lecturer and teacher of glassblowing, he is an authority on historical hot glassworking techniques from ancient Egypt through the Renaissance and has presented lectures and demonstrations throughout the world. He demonstrates techniques he believes to have been employed by glassmakers of the past and these are described in a number of books and video segments including: Chronicle: the Portland Vase, Five Thousand Year of Glass, Journey through Glass: A Tour of the Corning Museum Collection and MasterClass Series II: Introduction to Venetian Techniques, Glass Masters at Work: William Gudenrath, Glassworking Processes and Properties, Roman cameo Museum Glass in the British Museum. Bernd Roeck (* 1953) è professore di storia moderna all'Università di Zurigo (Svizzera) e ha ricoperto il ruolo di Preside della Facoltà di Lettere dal 2009 al 2011. Dal 1986 al 1990 è stato direttore del "Centro Tedesco di Studi Veneziani", Venezia, e dal 1996 al 1999 Segretario Generale del "Centro Italo-Tedesco Villa Vigoni", Loveno di Menaggio, Como. Bernd Roeck è specializzato in storia culturale della prima Europa moderna, in particolare l'Italia e il Sacro Romano Impero, e le connessioni tra storia e arte. Il Prof. Roeck è autore di numerosi libri e articoli, tra cui il più recente: Piero della Francesa e l'assassino (2007, traduzione italiana); Cultura civica e vita quotidiana nella Germania primitiva moderna (2006, 2a edizione tedesca 2011);L'occhio storico. Opere d'arte come testimoni del loro tempo (2004); Firenze 1900. La ricerca di Arcadia (2009, traduzione inglese), eretici, artisti e demoni. 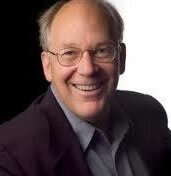 The Worlds of Goldsmith David Altenstetter (2009), Scholar Artists. Pittori del Rinascimento, Scultori e Architetti d'arte (2013) e più recentemente The Morning of the World. Storia del Rinascimento (2017). Il Prof. Roeck è Cavaliere del merito della Repubblica Italiana e membro dell'Istituto Veneto di Scienze, Lettere ed Arti. 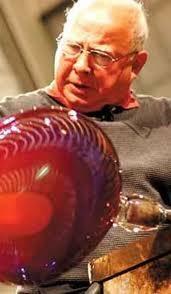 Exceptional glass master and well known world-round as glass artist. He was born in Murano and was just a young man when he first entered a glass makers shop: he became a glass maestro in the 1950’s and has worked for some of the most prestigious glass makers in the island. Since the late sixties his creativity resulted in models of great quality, both from the point of view of technique and beauty, that were a clear success on the market. He has been an independent glass artist since 1990 and is now committed to creating unique pieces that are exhibited in the most prestigious private collections and museums worldwide. In 2009, the Tacoma Art Museum dedicated a retrospective to his works with an exhibition that was then lent to other US museums. In 2011, the Istituto Veneto dedicated to him the exhibition Lino Tagliapietra, da Murano allo Studio Glass. With a degree in History of Art awarded by the State University of Milan under the guidance of Prof. De Vecchi, from 1989 to 2004 she acted as Conservator for the classification and the new layout of the Bagatti Valsecchi Museum in Milano. Together with Rosa Barovier she published the catalogue of the museum’s Venetian glass. She also curated the catalogues of the Medieval and Modern glass collections of the Civic Museums of Pavia, of the Pinacoteca Ambrosiana in Milano and the Pogliaghi Museum in Varese, the latter is about to be published. 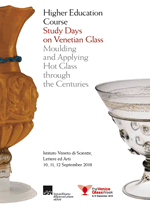 Other articles on Venetian and Medicaean glass have been published by Decart and the Journal Glass Studies of Corning Museum of Glass. 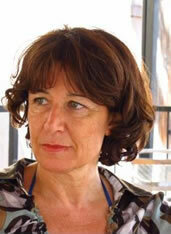 She is part of the Board of Directors of the Italian section of the Association Internationale Histoire du Verre. 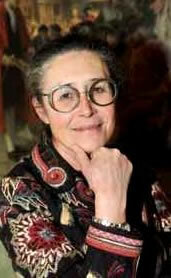 She is professor of art in the Orsoline Artistic Liceo in Milano. Holding a degree in Chemistry, he worked for over thirty years in the Stazione Sperimentale del Vetro in Venice-Murano, performing research and assessments on glass materials, both modern and ancient, the latter for archeometric purposes and also to assess issues relating to conservation and restoration. 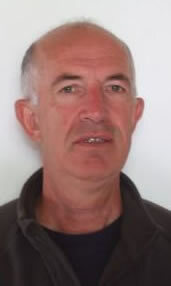 Member of numerous international organizations, since 2009 he has been working with the Laboratory for the Assessment of Ancient Materials (LAMA) of the IUAV University of Venice.